Ticket requests have to be in by 10am tomorrow morning (Tuesday, 30th July). 1 adult per 10 juveniles free of charge. Adults outside of quota – €30 each. 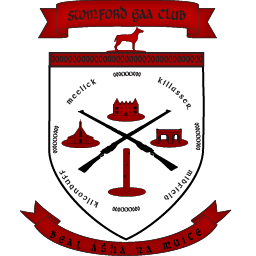 Applications must be sent to tickets@gaa.ie from the Club Secretary’s GAA Email Address prior to 5pm on Wednesday 1st August 2012 – secretary.clubname.county@gaa.ie. Strictly limited to 1 application per Club. Max of one per club, minimum 15 and maximum 50. Location at discretion of GAA Ticket Office.